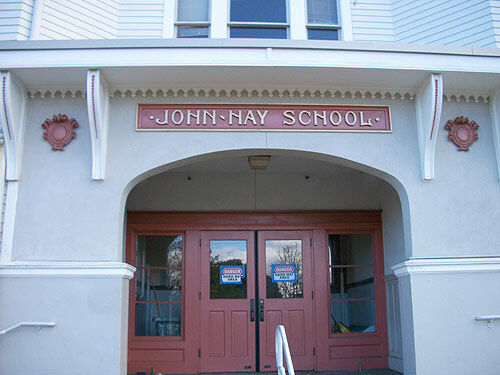 John Hay Elementary atop Seattle’s Queen Anne Hill has given up its ghosts. That is, The RE Store’s salvage crew has been working as a part of the major remodeling that is taking place in the fall of 2010. The non-profit’s mission is to keep valuable materials from being wasted. Pat Finn, The RE Store’s Operations Manager and James Taylor, carried 30 sheets of chalkboard slate out. Some of the sheets were carried down two full flights of stairs and both James and Pat wondered if their arms had lengthened. Tape measures revealed no measurable increases. 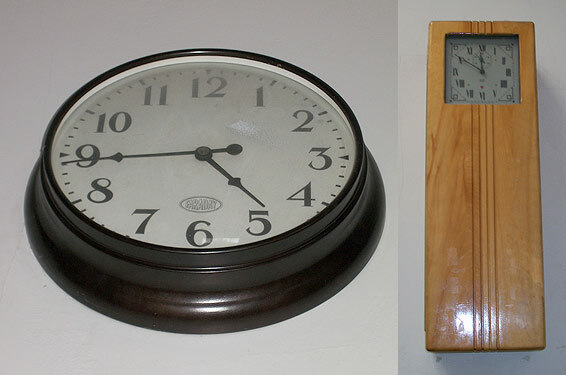 As if the chalkboard slate material wasn’t enough, the school’s clocks made their way into the crew’s trucks, including the unique “Master Clock” that controlled the entire school’s clock system. The harvest of valuable classic items also included classic windows from the tops of the stairwells with antique wavy glass. Doors and plumbing fixtures were also carted back to The RE Store in Ballard. “The 360-degree view of the city from the top of Queen Anne Hill was fantastic,” mused Pat.